Seat backs can be removed to help the access to attic and basement rooms. The seat modules will go through standard sized doorways. Where multiple rows are used with a raised plinth please use this as a guide. Further information and advice can be provided based on viewing distances and size of screen. Note that switches for all the end pieces are on the inside of the arms for this model. Please note that the beginning of each row or configuration must be an 01, 03L, 04 or COUL and finish with an 03R or COUR. Where multiple rows are used it is recommended to have a raised plinth. The plinth height will depend on the length of the room, height of screen etc. 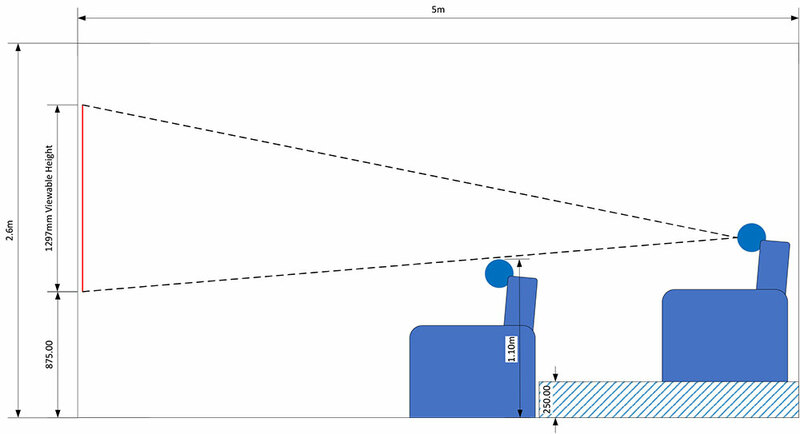 to determine the viewing angles. 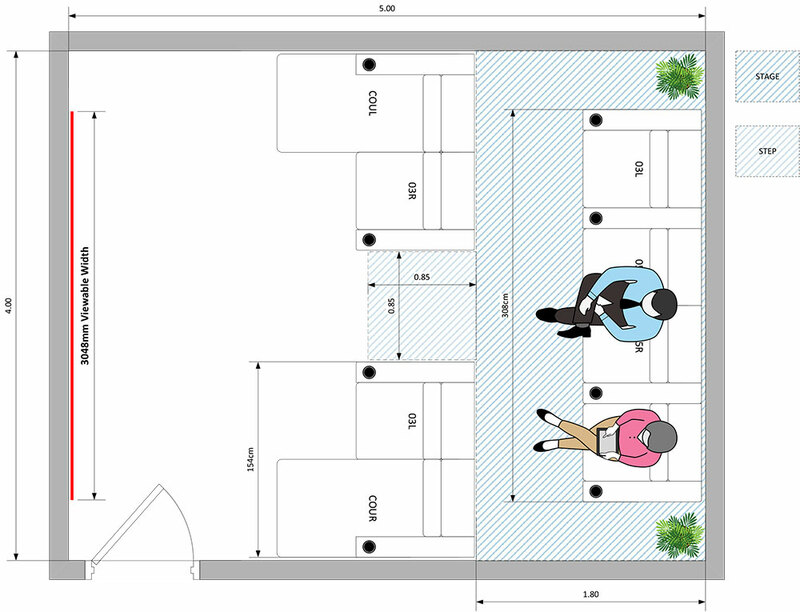 We can create scale drawing to help with the design of your room and to ensure those in rear rows do not have restricted sight lines.